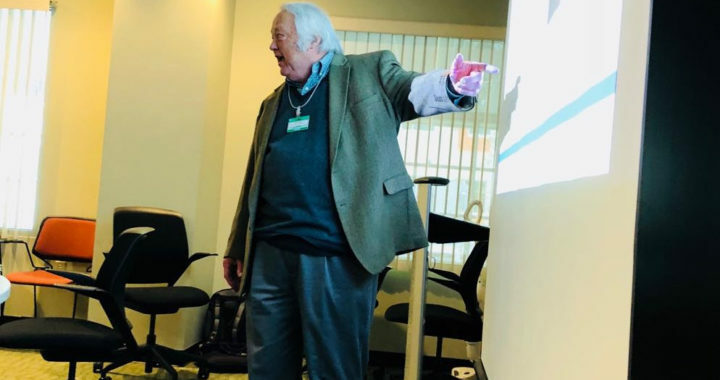 On March 20th, Dr. Coke S. Reed, the inventor and chairman of Data Vortex Technologies, gave an invited seminar on the Data Vortex network at Oak Ridge National Laboratory. In this talk, Dr. Reed discussed the basic architectural features, scalability, and performance of the Data Vortex network. The high radix crossbar switches used in traditional crossbar networks tend to transmit only large packets in order to “hide” the time to compute the setting of the switch. Since there is no setting time for the self routing Data Vortex switch, short packets can be used effectively. The Data Vortex excels in fine-grained, congestion free data movement. For certain examples, including sparse linear algebra and fourier analysis for solving differential equations, Dr. Reed highlighted how to calculate bandwidth and latency through a Data Vortex network of a given radix. The high bandwidth, low latency Data Vortex network excels at tackling large scientific problems as well as particularly interesting sets of graphs. The conversation will end with various uses and implementations of the network in present-day and future architectures: the Data Vortex may be used as a network connecting cores on a single chip or as a network connecting multiple computing elements in several cabinets.